Marco Bertini, ESADE claims that pricing is an area where the level of sophistication does not match the importance of the topic. 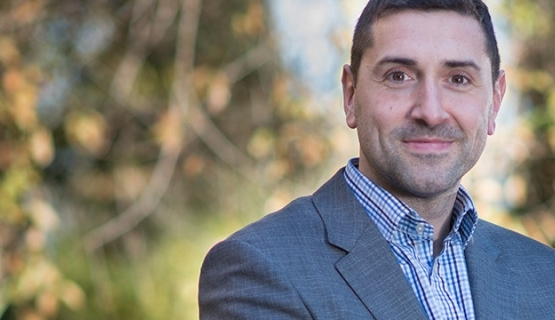 “In many companies, pricing is an area where the level of sophistication does not match the importance of the topic,” says Marco Bertini, Associate Professor and Head of the marketing department at ESADE. There are only three real drivers for profit: price, costs, and sales volume. Of these, price has by far the strongest impact. While many companies recognize that pricing decisions have substantial impact on the bottom line, far too many do not exploit this opportunity and fail to design a thorough strategy. After obtaining his Ph.D. from Harvard Business School, Bertini has built his career researching, teaching and working with businesses on the question of monetization, especially the psychology of pricing decisions. “Companies that look at pricing decisions purely as questions of optimization can severely hurt what their company stands for. Their pricing can be destructive,” Bertini cautions. “Take for example a bank that attempts to extract everything it can from every transaction, seeking revenue streams with all kinds of fees and added costs – it does so without realizing that, before long, its approach will lead to disgruntled customers who have lost their trust in the company, or even the industry,” he emphasizes. While this kind of aggressive approach may have worked in the past, it is detrimental in today’s market. Consumers are fast to notice if a company’s prices seem unfair, they actively share and compare pricing information on social media – and easily take their business elsewhere. “Many companies still think of pricing as a mere technical issue. Although it certainly has technical elements, there is a significant strategic component to pricing. If there is one foolproof way to assure you fail in pricing, it is not realizing that there is a link between the pricing decisions you make and the strategy of the organization,” Bertini asserts. Bertini lists four key steps that should be addressed in developing a sound pricing strategy: designing the revenue model, establishing a process to set prices, agreeing on the arguments useful to defend prices, and setting rules to vary these prices. Designing a revenue model is about understanding what the company’s policy for making money should be. It often means challenging assumptions that the industry as a whole takes for granted. While technology has made it a far easier task to understand what customers value, it has also enabled customers to easily gain extensive information on prices offered. “We are in an information race, where readily available information is helping both customers and companies,” Bertini adds. He underlines that it is important to note that companies are not pricing to their customers but with their customers. “There is a clear trend going on: industries are now moving towards a ‘pay for performance’ method,” Bertini affirms. After designing a revenue model, step two is establishing a process to prices. Bertini explains that at this stage, the company wants to complement internal information on (the right) costs with external information on what competitors are doing and, importantly, their best assessment of what the customer actually values the product or service at. With a revenue model and a process to prices established, step three is finding the right arguments to defend the value of a product or service with confidence. “Customers want to get the same product or service cheaper and competitors may look to undercut you. There is truth to the saying: ’When the value of an offering is clearly understood by both firm and customer, price is seldom a problem.’ Companies need to be able to quantify value, and give a sense of calibration and confidence that helps fight off the pressure imposed by clients. Moreover, companies need to be able to signal fairly and legally to competitors about their ability to lead a market,” Bertini says. “In price variation, companies must seek opportunities for price discrimination that are palatable to customers,” Bertini concludes. Currently reading: Aalto Leaders' Insight: Does your pricing match your strategy? Who are the Pricing Power Leaders? Is your pricing strategy paying off? Is your pricing strategy paying off?Pricing is the one managerial action that has the most direct impact on a firm’s success.